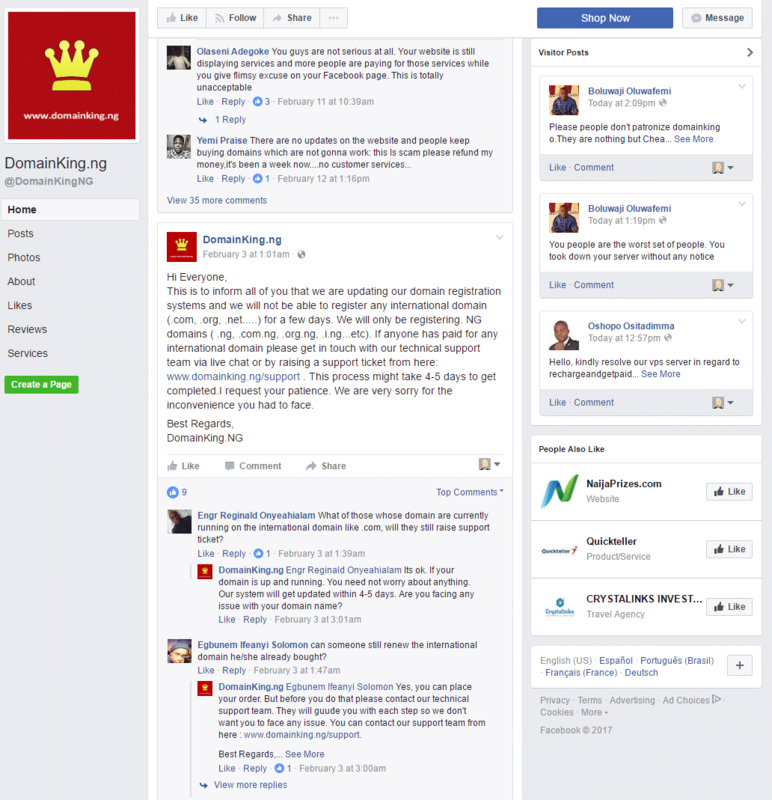 Domainking.NG, a self-styled domain registrar asserting to be Nigeria’s top choice, is in trouble; its founders were arrested by the Pune city police early in February, accused of a variety of charges. The company’s founders operated Domainking.NG from Punjab, in India, and the local police is now taking a “terrorist angle” to the charges. “Some of the domain names were used for creating fake websites with words like ISIS and jihad. “Most of the websites dealt with economic fraud and the fradusters mostly from Nigeria had used the domain names for fake websites to cheat people through bogus lotteries, jobs, email spoofing, etc. Out of the total 86,000 websites, 30,875 were registered here by people from Nigeria. We have found that people from about 100 countries including the USA, UK as well as Pakistan had got their website domain registered with the arrested accused. This is to inform all of you that we are facing some technical issues with our system. There has been mass abuse of our services and we are investigating regarding the same.Some people have registered domains with fake names and are abusing the service to cause harm .So we are updating our system to secure the website performance and troubleshooting the abuse issues. In the meantime, we may not be able to reply to your queries and provide support. We deeply apologize for the inconvenience this has caused to you. We request you all not to place any new orders till next update as they may not complete well. We will resolve all the pending issues very soon. Also, the clients who had made the payment for the services, there issues will catered very soon and they will be provided with service or the refund in the cases where services have not been delivered. In case you have made the payment and your order is not activated you are required to produce the receipt and necessary government issued photo id with Name and Address.The same is required for any future purchase.You are requested to raise a ticket and attach the ID proofs,and receipts..
We need your support in this phase of difficulty so that we can overcome this situation. This process might take some time to be resolved. We will soon update on this. We are really very sorry for the inconvenience this has caused to you. Why is the Domainking.NG incident of interest beyond the borders of India and Nigeria? Surprisingly, the company prevailed in a UDRP against the domain Domainking.biz that they operate. The Respondent in that case, is one of the officers of Domainking.NG. The Domainking.NG founders remain under arrest until February 16th, according to Sakal Times. Now that it is like this, what is ICCAN domain about this? I want to see if I can help few Nigerians with a good domain name to get them back. MartForum : ICANN has no authority over .NG domains – contact NiRA as instructed.